Comment: The refrain “An elephant’s faithful one hundred per cent” echoes throughout the text as Horton experiences troubles one after another. Horton has committed to Mayzie to sit on her egg so she can go on vacation. No matter what comes his way, he continues to sit on the egg and follow through with what he said he would do. Horton is an elephant of integrity. He stays committed to his word. The Old Testament reading today is a snippet into Job’s life. He is presented as a man of deep faith. He stays committed and faithful to God despite what is happening around him and to him. Job is a man of integrity. Children can see two examples of living out integrity. Job stays committed to his faith and is willing to experience the burdens and blessings, and Horton stays committed to his task and doesn’t give up just because it gets difficult. Comment: These words from Hebrews reminds us that Jesus Christ is “the reflection of God’s Glory and the exact imprint of God’s very being” (verse 3). What we see in Jesus through the way he lived his life, his death, and his resurrection is glory to God. The way he loved others, the way he challenged people to new thinking, the ways in which he offered grace, healing, forgiveness to others points to God. 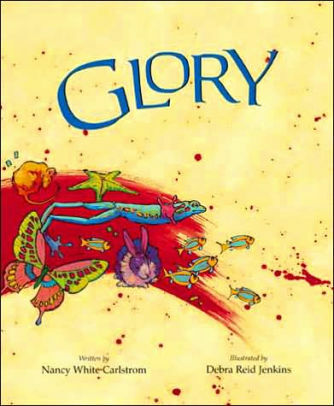 In Glory, we see the ways in which the creation gives glory to God, while also including some reasons we give glory to God. As we get wrapped up in our lives, the call to recognize God’s glory at work in our lives is a call we can all hear. Each of our lives has the ability to give glory to God as we live and move. Comment: In Jesus’ response to the Pharisees, he reminds everyone listening that God is the creator of all things. God creates men and women, family relationships, friendships. We are all pulled together by God. I remind children often that they are created by God, but my focus is on the specialness of each child and I don’t often remind children that we are created in communities by God. In these communities, we take care of one another and all have something special to offer. Jesus tells those that are listening that humans are not to tear apart what God has brought together. We work through our differences and love each other even when it is hard! 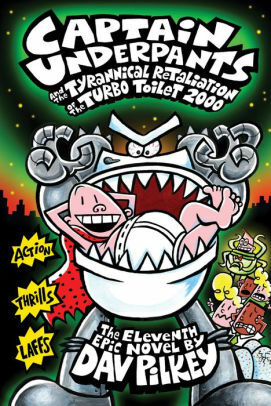 I had the privilege of reading the Captain Underpants series with my five-year-old. In these books Harold and George are best friends and they bring out the best and sometime the worst in each other. They are a bit mischievous and have found themselves at odds with Principal Krupp. He is always trying to come up with a way to separate them and destroy their friendship. It looks like Principal Krupp has found a way to succeed in the eleventh epic novel. It looks as if Harold is going to fail 4th grade, while George will pass. Mr. Krupp is beyond excited for this day, but George and Harold are devastated. They quickly start thinking about a way to fix it. They look out for each other even when times looked grim. When God brings people together, we should work hard to keep them together. God created us to be in community and desires us to live in it. Thanks to Union Presbyterian Seminary alumna Elizabeth Boulware Landes for writing the Revised Common Lectionary Links this week. Lectionary Links (RCL): October 7, 2018 by Storypath is licensed under a Creative Commons Attribution-NonCommercial 4.0 International License.